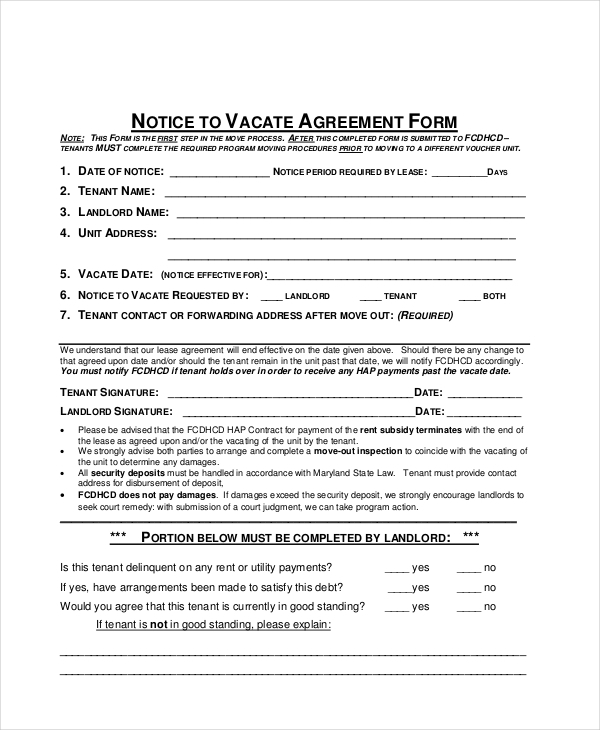 A landlord notice to vacate form is served to the tenant by his landlord stating that the latter wants the former to vacate his property within a certain time period. A notice to vacate property form is offered to a tenant to a landlord when the rent agreement is on the verge of termination or if the landlord is miffed with certain unwanted, illegal & unethical acts by the tenant. 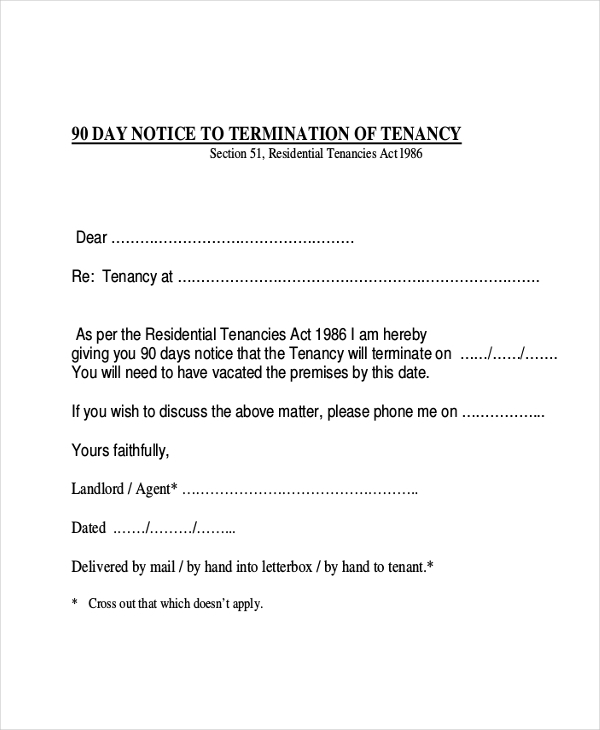 A 90 day notice to vacate form issued by the landlord to the tenant indicates that the latter has 90 days within which he or she has to leave the landlord’s premise. Such a form is served by a tenant to the landlord stating his wish to vacate the property within a stipulated time period so that the landlord can start advertising for a new tenant. 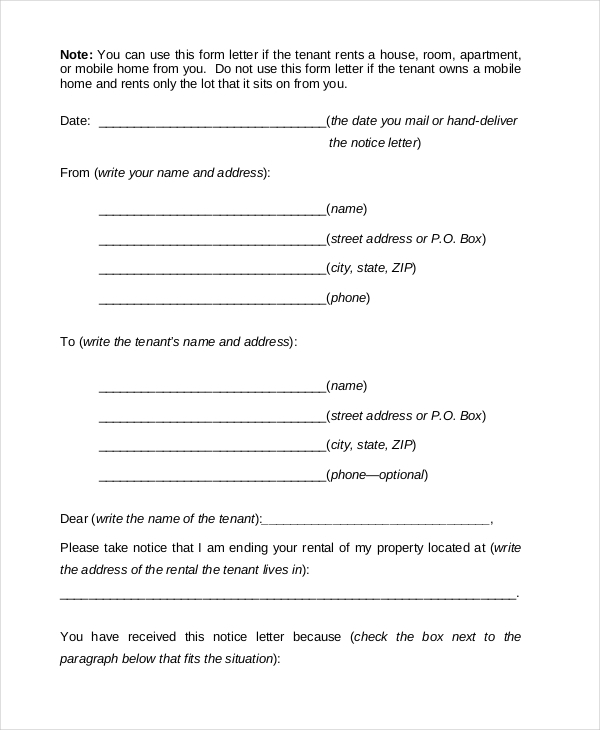 A form like this is sent by the tenant to the landlord stating that he is willing to vacate the rented premise within 30 days and that now the landlord can seek for new tenant. 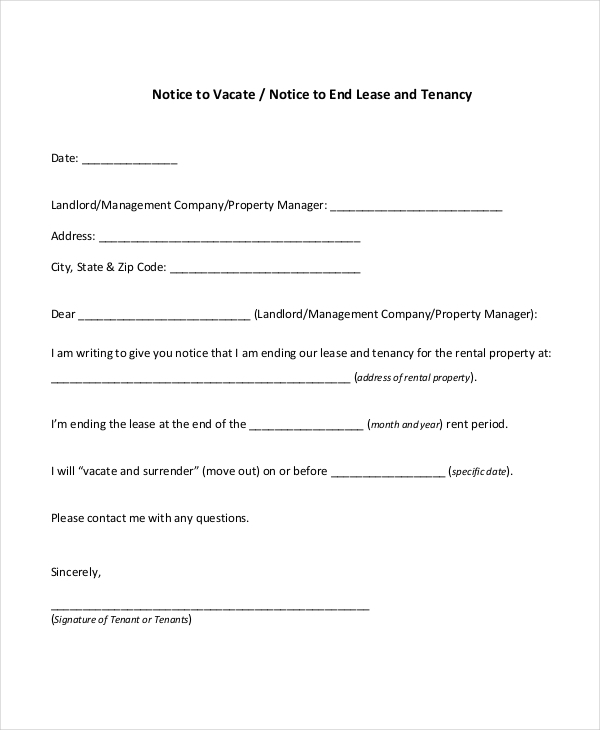 Such a notice is issued by a landlord to tenant stating that the tenant/tenants has/have to leave the rented premise within a fixed period of time due to certain specified reasons. 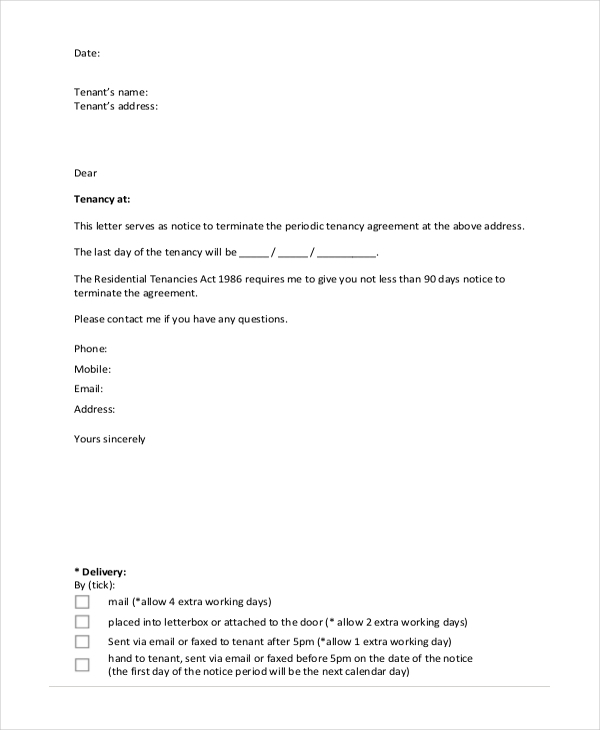 If a landlord is dissatisfied with the tenant’s behavior or the renter is failing to pay the rent, the landlord can serve him a sample notice to terminate tenancy agreement form. Real Estate Leading Edge is a leading property management company which helps landlords with readymade Real Estate Leading Edge WA Notice to Vacate Form when they wish to serve notice to vacate to their tenants. Such a form declares that the landlord has asked the tenant to vacate the rented property in mutual agreement with the tenant himself. 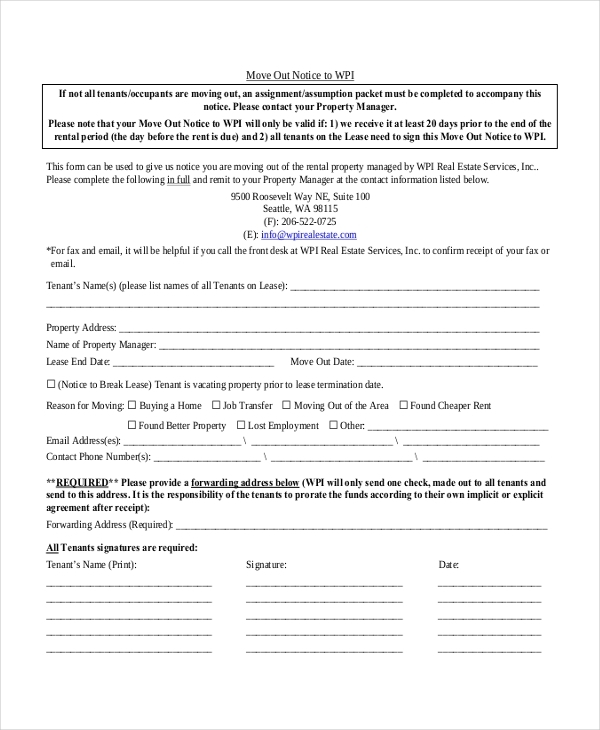 The form must specify the time period left for the tenant to stay in the property. What Constitute a Notice to Vacate Form? 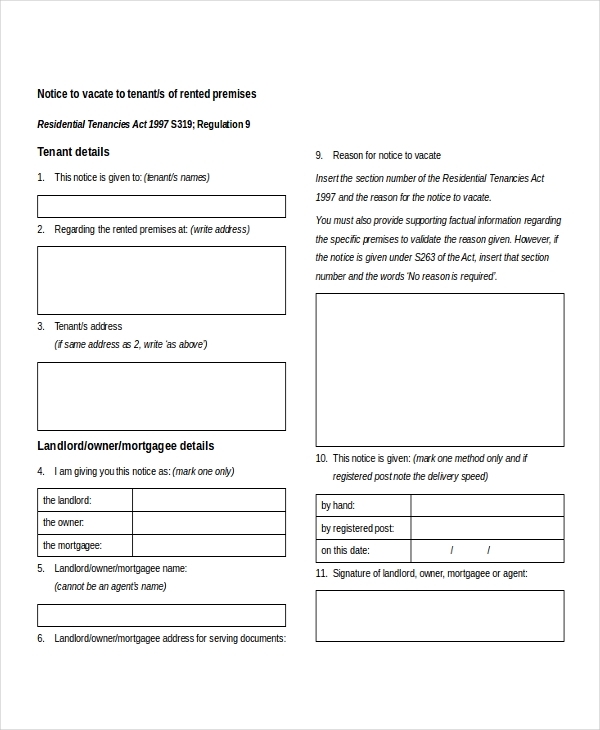 When can a Landlord Issue a Notice to Vacate Form? Why to Issue a Notice to Vacate Form? 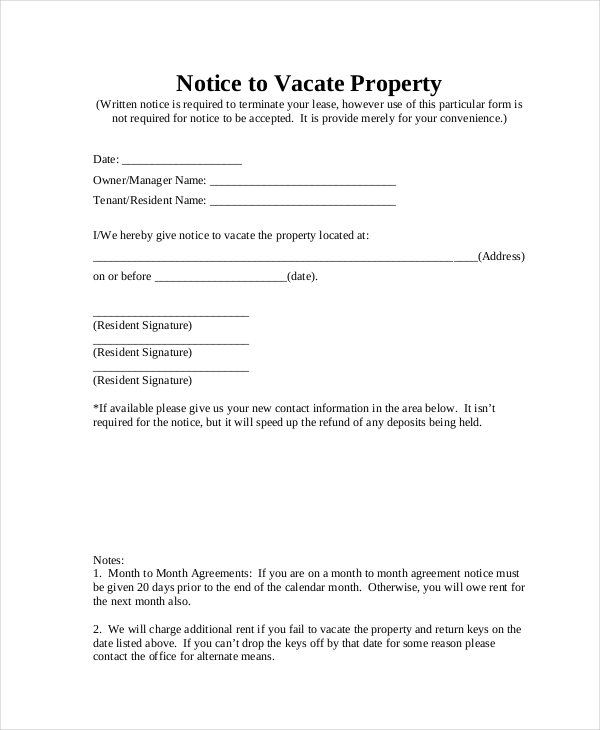 When you are about to send a notice to vacate form, make sure you are proper with the date and reasons for which you want your tenant to leave your property. If you are miffed with his behavioral aspects, offer him a 30-60 day time to rectify himself and based on his attitude you can decide whether to keep him or not.